Sometimes the simplest foods are the most missed when you go gluten-free. Although there are quite a few crackers available in the markets, the flavors of most are quite bland and their cost is typically double other crackers. Crackers are almost a food group in my house. With twin teen athletes balancing busy schedules, these crispy flavorful bites are almost inhaled as soon as they are cooled. 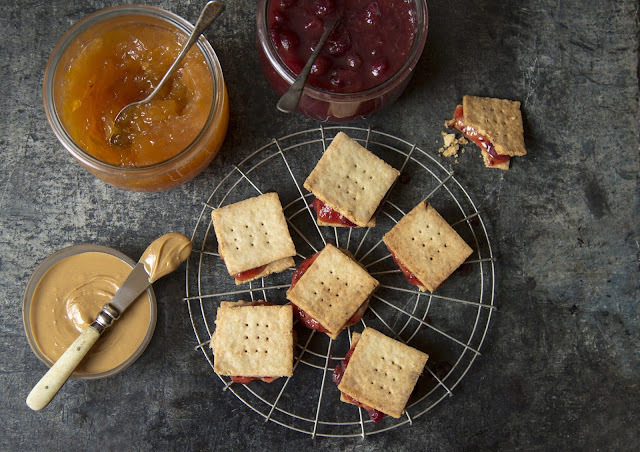 The buttery flavored potato flakes work wonderfully sandwiched with peanut butter and jelly for a quick snack. My daughters adore the four cheese flavor topped with a bit of tomato sauce as mini pizzas. The Roasted garlic flavor is their favorite hummus dipper.Enjoy making all the flavors, I bring a batch to most potlucks since they stir together so quickly. Click through to Idaho© Potatoes for the entire recipe I was compensated for this recipe creation.